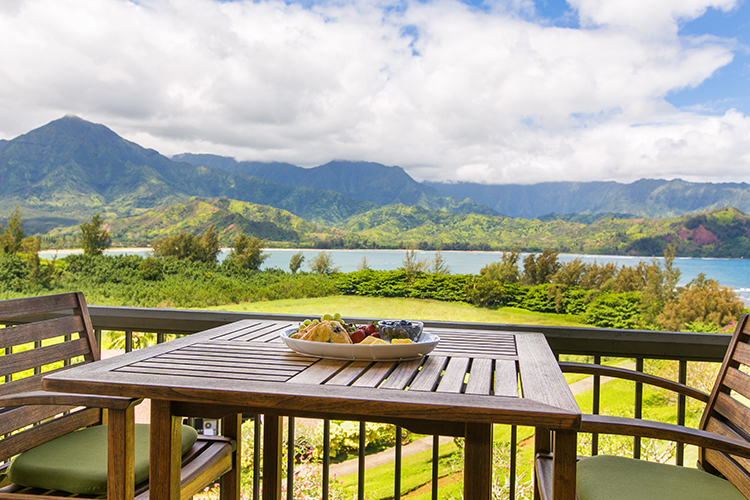 Private Lanai w/ Majestic Views! 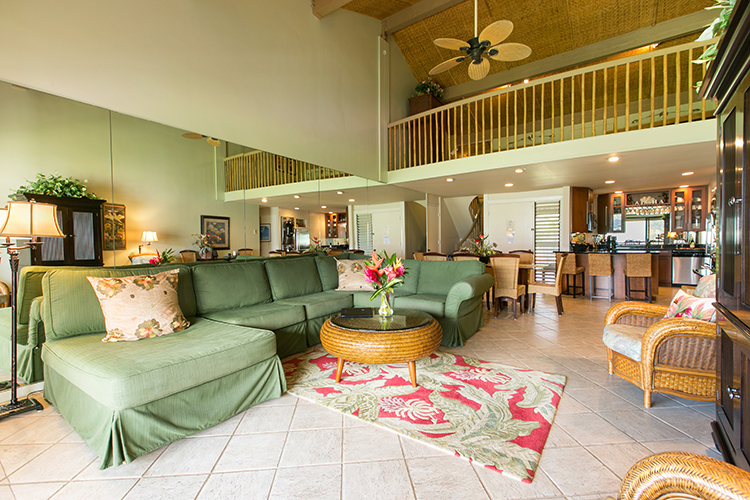 Ideal for large parties such as weddings, reunions or extended family vacations, this luxurious top floor 2 bedroom/2 bath unit plus loft accommodates up to 10 people in 1 bedroom with king size bed, 1 bedroom with 2 queen size beds, and an oversized loft with 2 queen size beds. 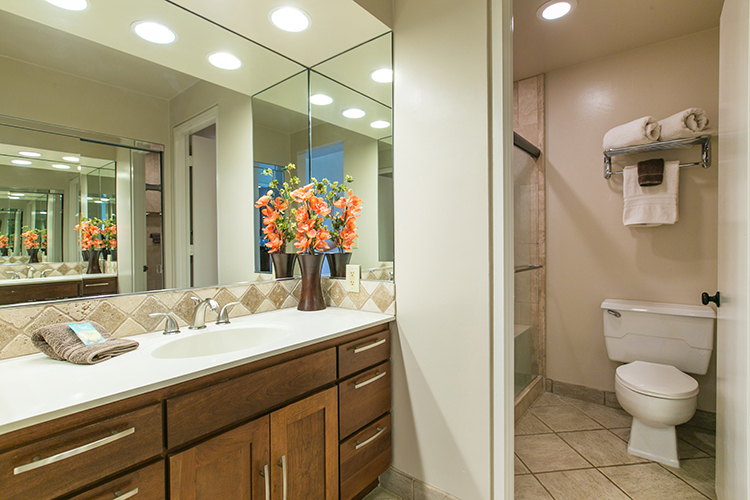 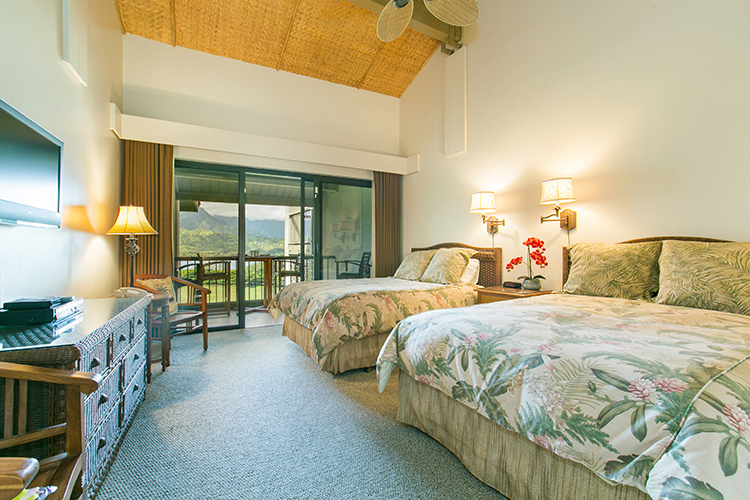 Both bedrooms have their own private bathroom/dressing areas which are equipped with coffee maker, refrigerator, iron/board, luxury linens, and his/her robes along with a private lanai. 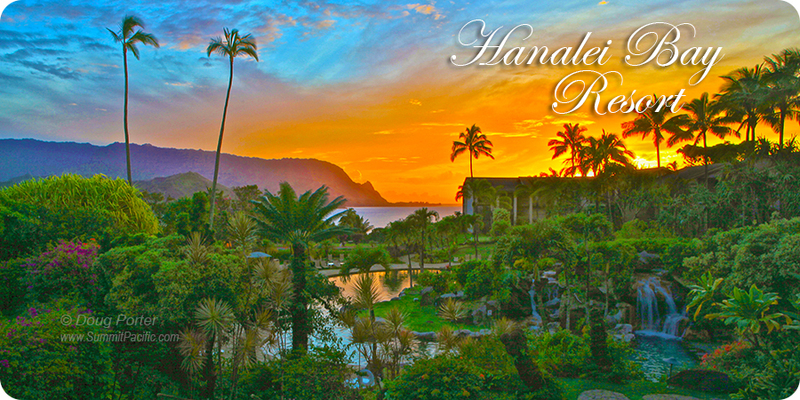 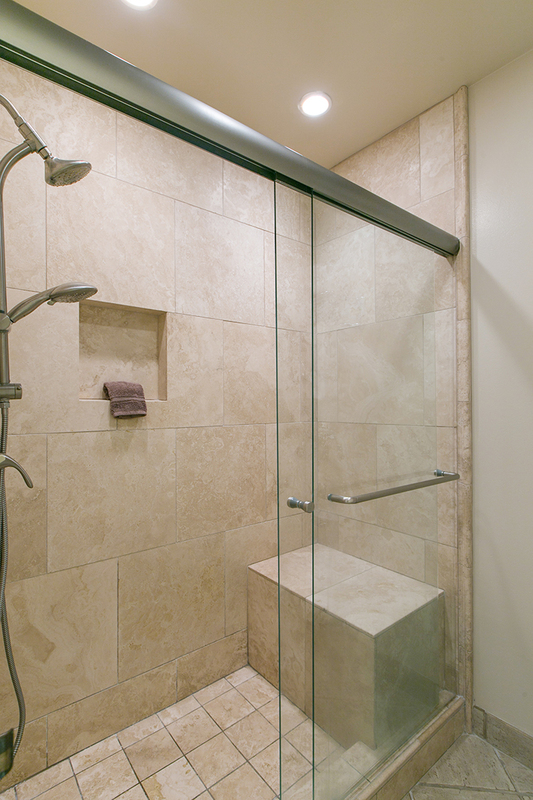 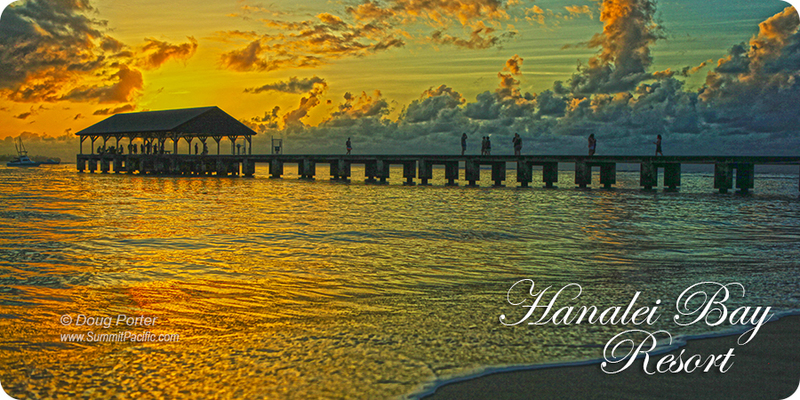 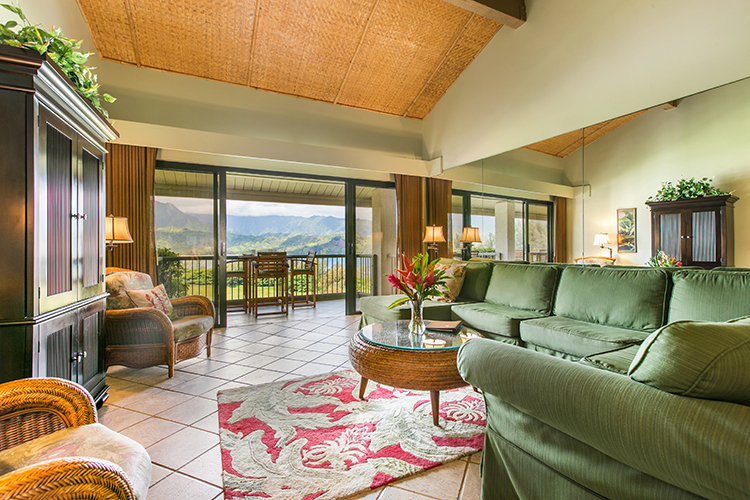 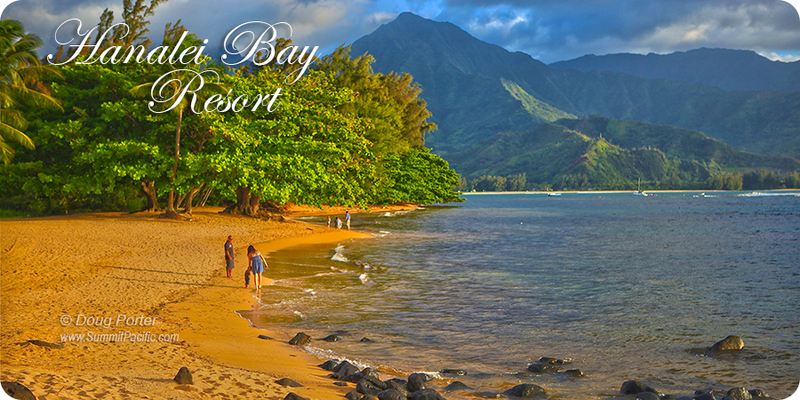 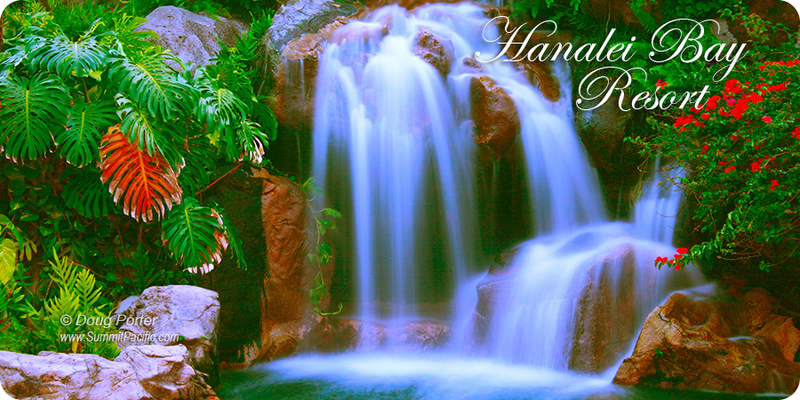 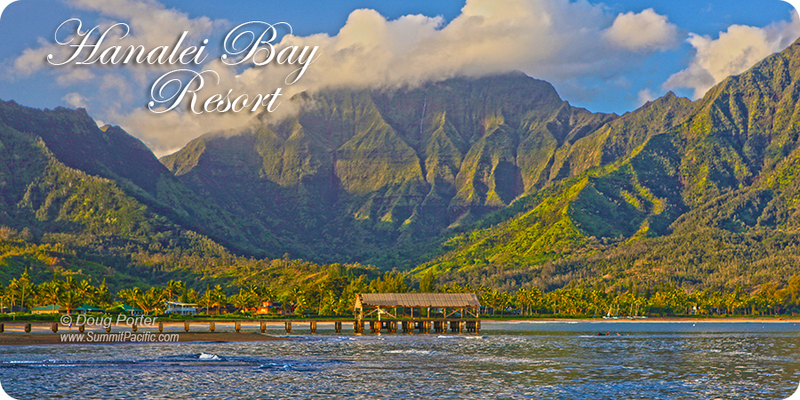 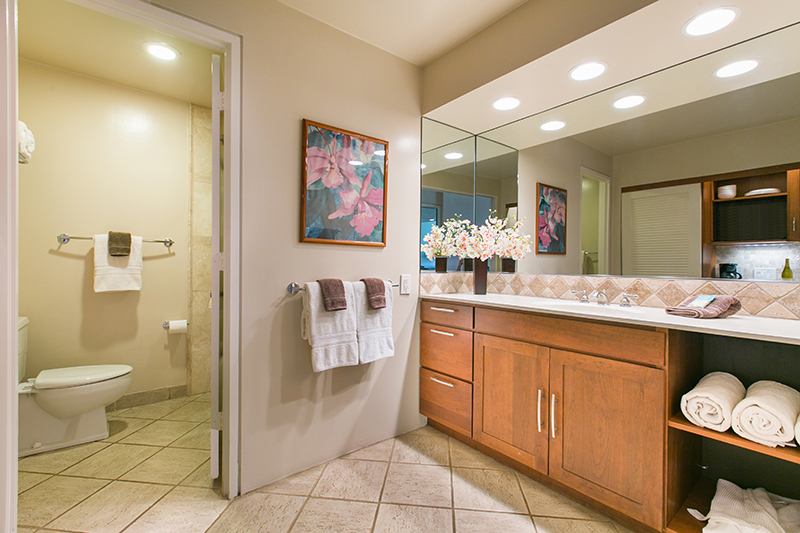 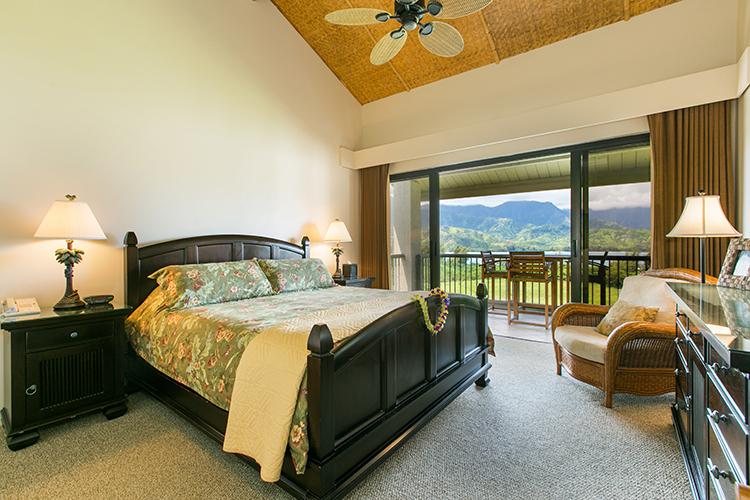 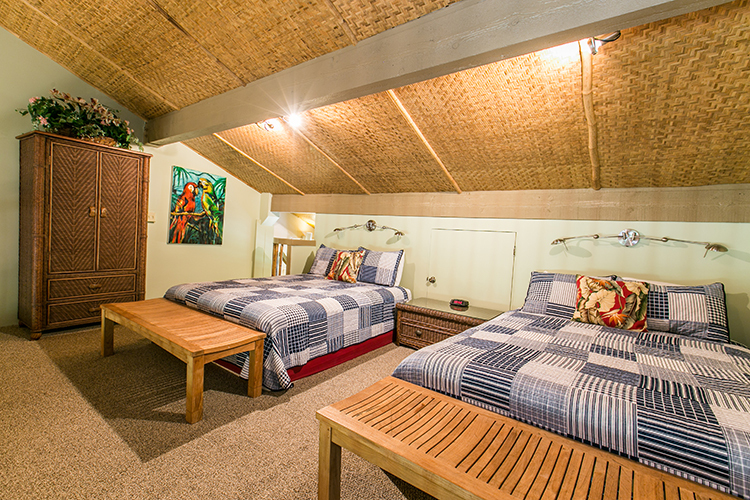 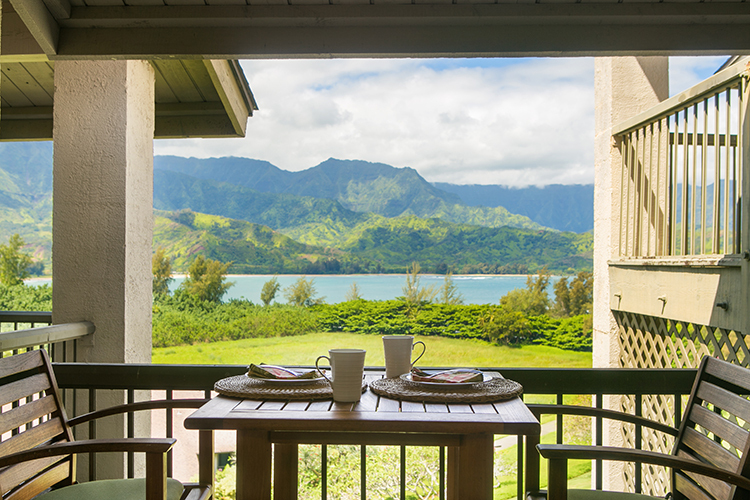 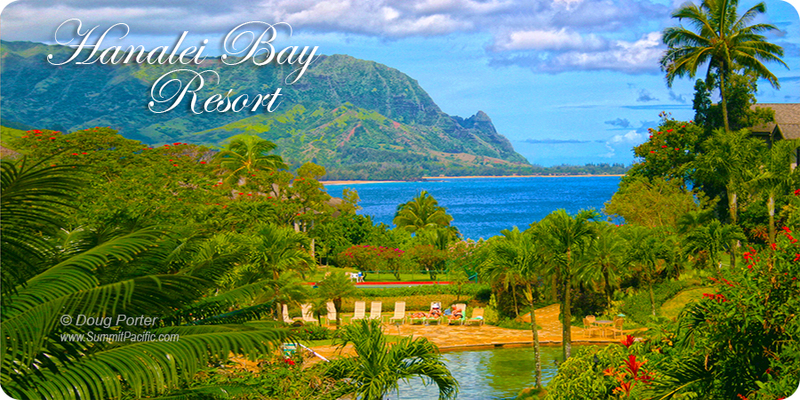 Both lanais offer spectacular unobstructed panoramas of Hanalei Bay and a white water view of its famous surf break. 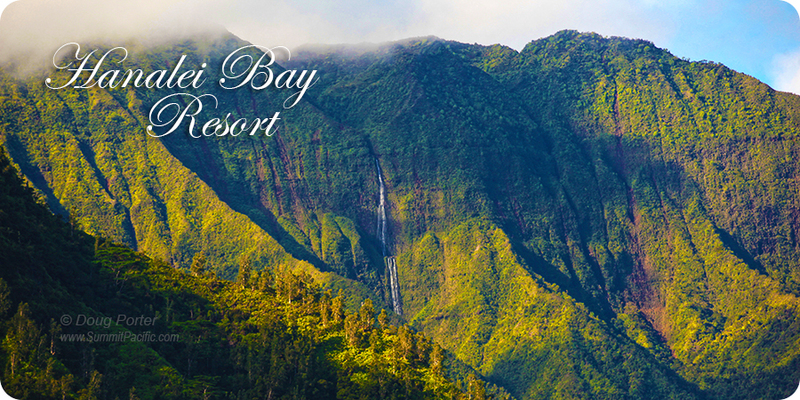 The interplay of waterfalls, rainbows, and breathtaking sunsets is truly memorizing! 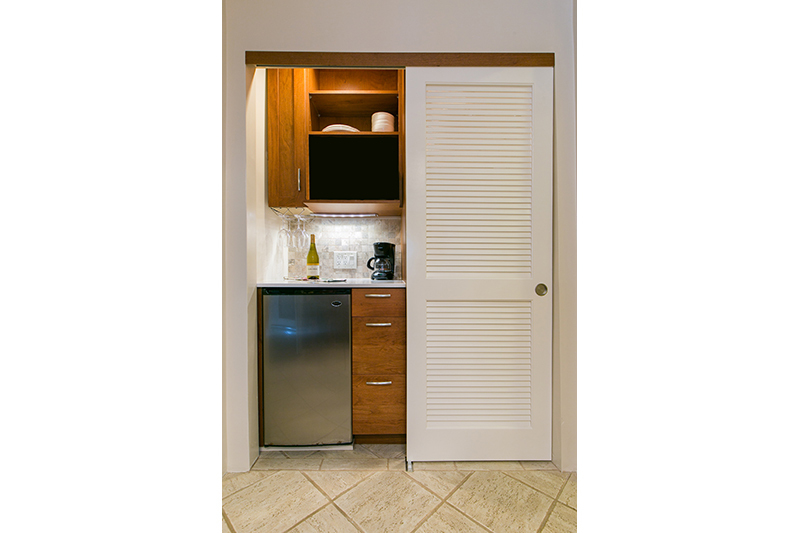 The interior of the unit has been extensively upgraded and features woven bamboo vaulted ceilings, cherry kitchen cabinetry with travertine tile accents and custom island style furnishings. 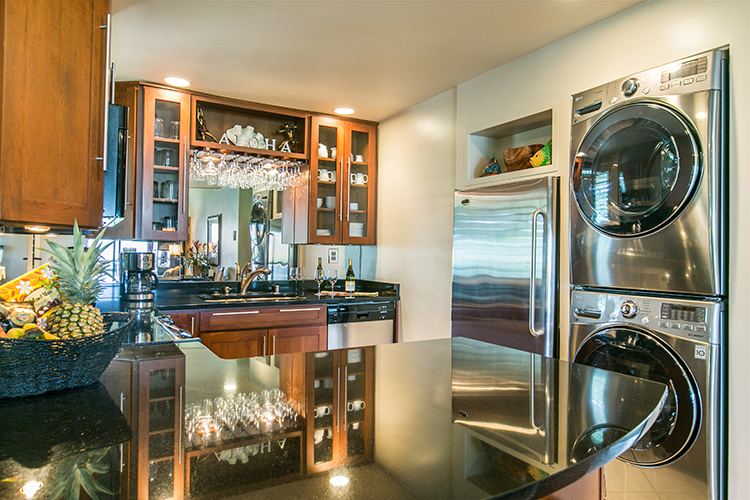 The modern kitchen has granite countertops, stainless steel appliances, and is fully stocked to accommodate your culinary skills. 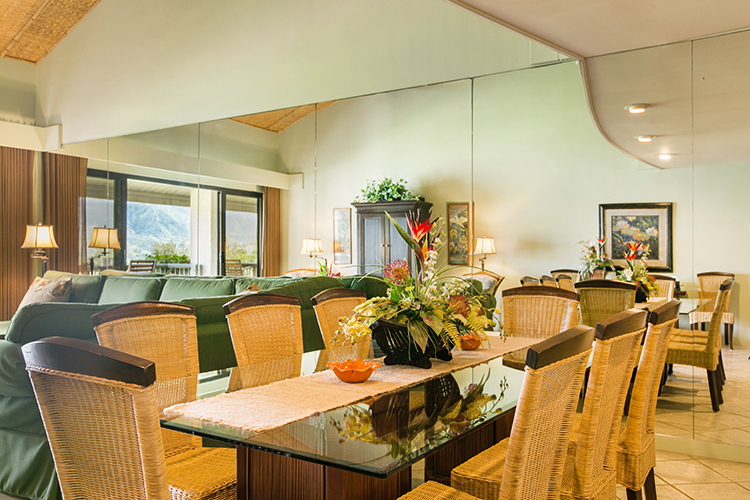 With a large group in mind, the dining table can seat up to 10 people to create an intimate dining experience. 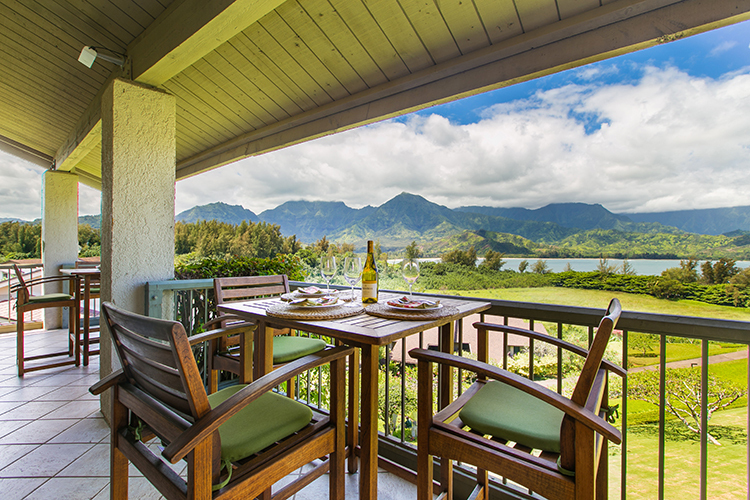 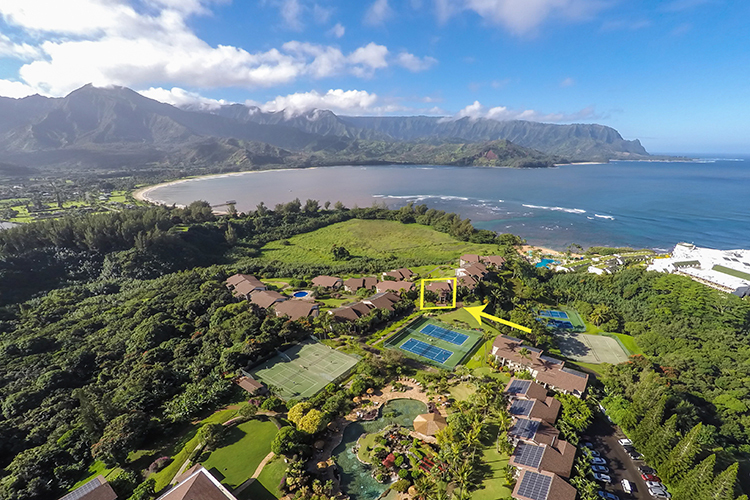 Ideally located within the Hanalei Bay Resort just steps from the beach path, tennis courts, swimming pools, spa, ice maker, barbecues, restaurant/bar and lobby, this condo promises and truly delivers the ultimate tropical escape! 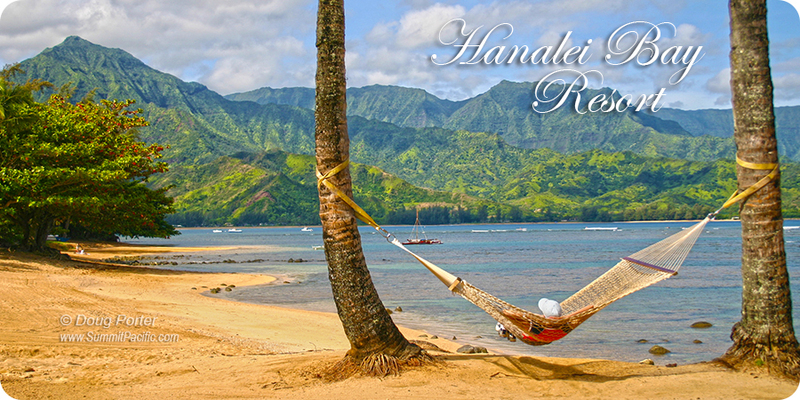 Add Hawaii tax of 14.96%, and Outclean fee of $240. 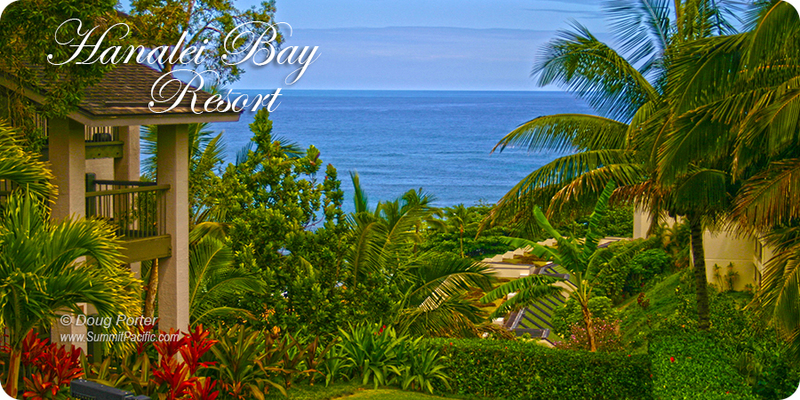 Down payment of 20% of total booking to reserve.